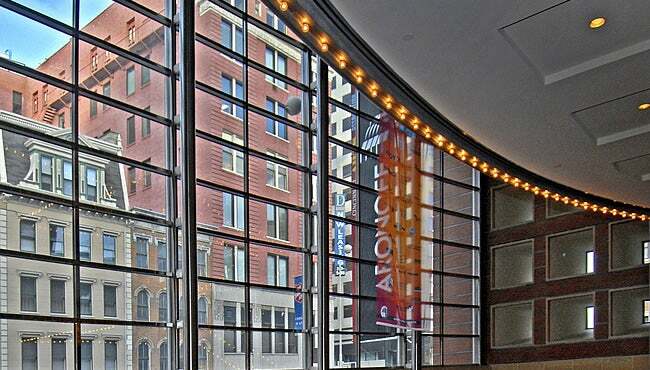 A soaring wall of glass reveals three carpeted lobby levels, and the custom designed fabric wall on each floor reflects the spectacular colors seen throughout the Aronoff Center. Each level can provide a stunning site for social events, meetings, and presentations for a small group, or when used in combination, can host up to 1,200 for receptions or 400 for dinner. The lobby spaces are only available when the Procter & Gamble Hall is not in use.